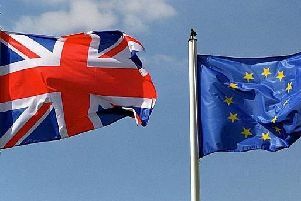 I write in response to two letters about Brexit published on 8th November, from K W Newby and Pat Williams, which were in turn in response to my letter that you published on 1st November. Mr Newby asks why I think we should have another referendum. How about: The 2016 referendum was legally an advisory referendum, not mandating; Leave won by a small majority, which represented 37 per cent of those registered to vote; millions of those who would be most affected by the outcome (UK citizens living abroad for more than 15 years; EU citizens living here; 16-17 year olds) were denied a vote by the Government; the Leave campaign was at best economical with the truth, but was often just outright lies, which sadly many believed – almost all of the promises made about the ‘sunlit uplands’ of Brexit during the campaign have now been shown up as complete fantasy and there is growing evidence of people having changed their minds since, including many leave voters who now realise they were duped – see the ‘Remainer Now’ website and Facebook page for testimony after testimony from them. This is the reality of our current situation, rather than as Mr Newby would wish for, a return to the long distant days when ‘Britain ruled the waves’, had an Empire straddling the globe and there were ‘four dollars to the pound’. Pat Williams may still ‘wish to leave’ and considers ‘job done’ but it seems the government is still a million miles from ‘job done’ as it haemorrhages ministers and support, and is intent on inflicting untold damage on the people of the UK. As mentioned above, many who also voted leave in 2016 have changed their minds as the evidence grows daily that what is being offered in the Government’s proposed deal is a light years away from what was promised in the referendum, whilst the alternative ‘no deal’ would be catastrophic, as evidenced by the Government’s own sectoral impact assessments.